It may not look like it, but this is progress! Two days worth, in fact. I may be the worlds slowest electrician, but as of now, the Diamond T has switched headlights, tailights, park and turn signals. The fuel pump relay clicks, the in-tank pump runs for the correct two seconds when the key is switched “On”, and the engine cranks over on “Start”. The ignition is hot, so I’m pretty confident it’ll fire up. I’m so jazzed about this, I had to stop and update my blog. I was pretty worried about this, as all the information I got was gleaned from a couple of websites, and you know how trustworthy free internet advice is. In addition, Chevrolet made frequent changes in the wiring harness’ between years, models, 4×4 and 2WD, along with running changes that don’t always show up in the diagrams I printed out. Happily though, it seems to be all good. 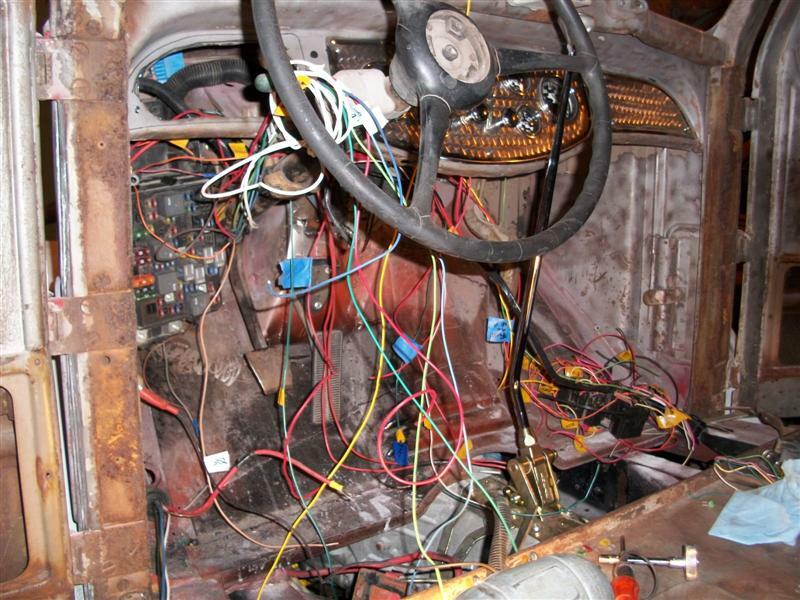 Now, just imagine all the wires shown above routed into harness’ and neatly run behind the dash, in an organized and tidy, workman like fashion. We’ll see if that vision can become reality, or if it’ll look like all my other Hot Rod wiring, a disaster waiting to happen! I like your dash board but whats invaled in cleaning up that rats nest of wires??? LOL, it IS a rats nest, isn’t it? Believe it or not, it’s getting better. I’m not going to loom it untill all the wiring is completed. 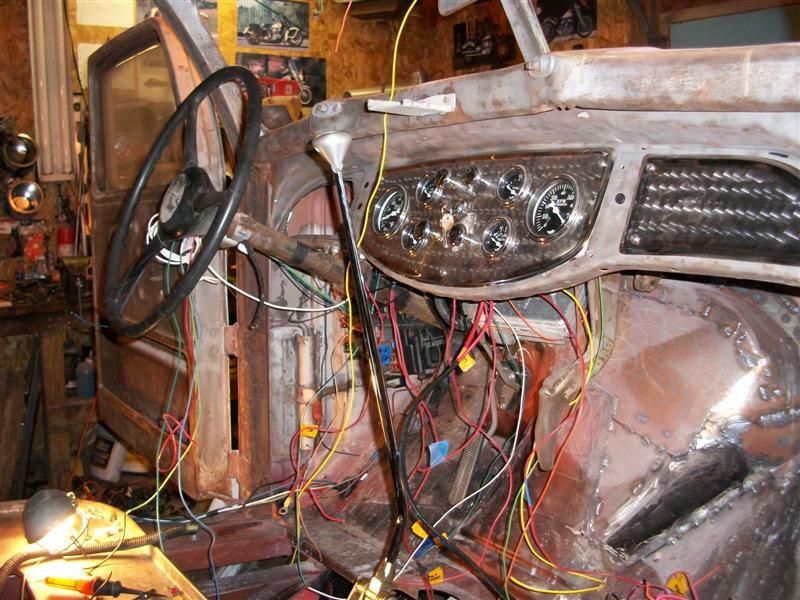 I still have to wire up the courtesy lights, door jamb switches, speaker wires, power outlets and so on. It looks MUCH better than it originally did.